A winning team: Marijan Griebel (right) and his co-pilot Pirmin Winklhofer. 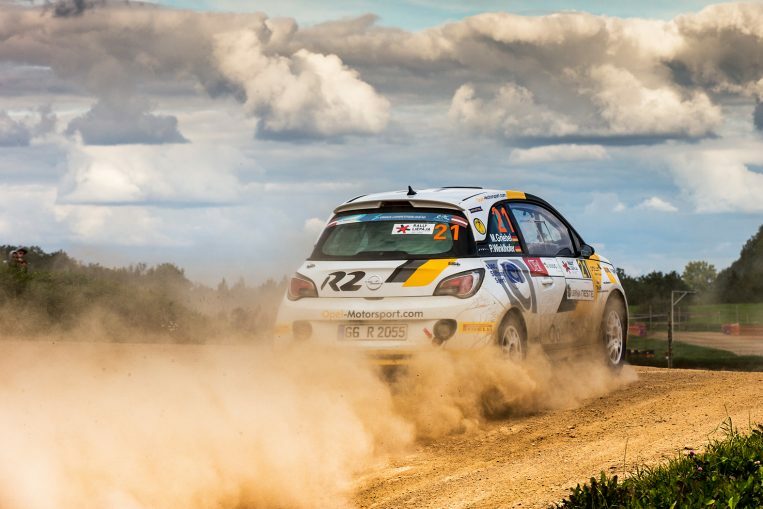 The battle for the 2016 European Junior Rally Championship title was epic in terms of the drama and excitement it offered. 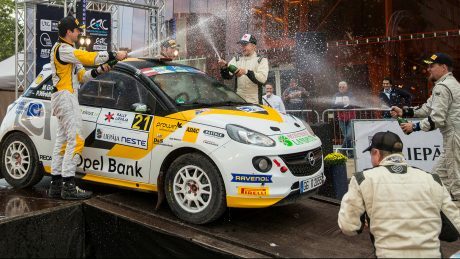 In the thrilling finale in Latvia, Marijan Griebel not only successfully defended the title for Opel and the ADAM R2, but was also the first German driver to capture the European Championship title in 15 years. 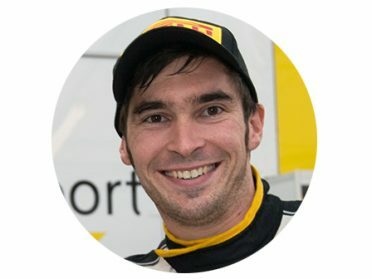 Ein erfolgreiches Team: Marijan Griebel mit seinem Co-Piloten Pirmin Winklhofer. Verdiente Sektdusche für die Sieger. Opel factory driver Marijan Griebel faced a true Herculean task in the final race of the FIA ERC Junior Championship series in Latvia. 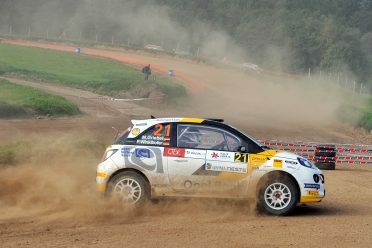 It came down to this: He had to finish first in the Rally Liepāja in order to secure the title. Nothing else would do. It was all or nothing – and the odds were clearly stacked against him. Griebel’s ADAM R2 in the air at full speed on the way to title victory. 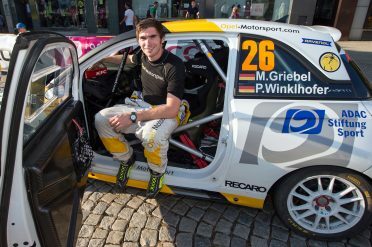 Marijan Griebel sitting in his ADAM R2. Griebel, a 27-year-old police inspector hailing from the small town of Hahnweiler, had experienced a blow to his confidence following a minor slip-up in the Barum Rally in late August in the Czech Republic. This cost him any chance at securing top spot at the venerable asphalt race, where Griebel and his ADAM R2 were favored to win since his dominant performance in winning on the paved course in Ypern, Belgium. The first chance at taking the championship came and went. On paper at least, this was the easier of the two races. 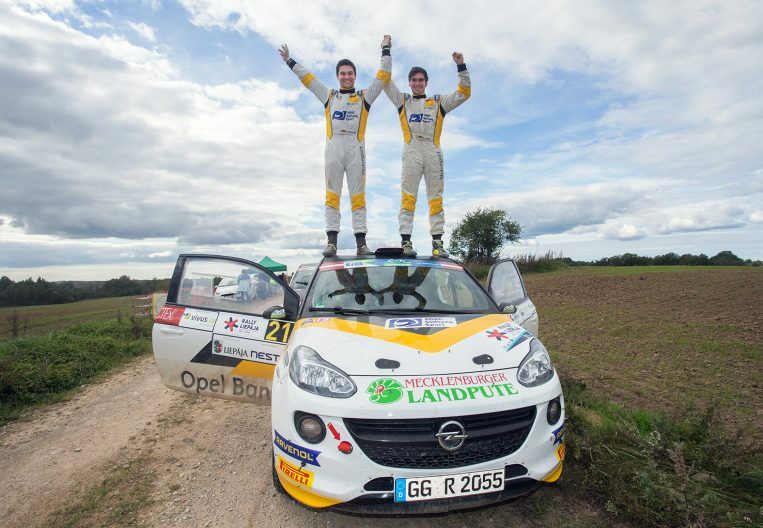 Marijan Griebel is a role model of sorts for the program to develop junior rally drivers jointly run by Opel and ADAC. 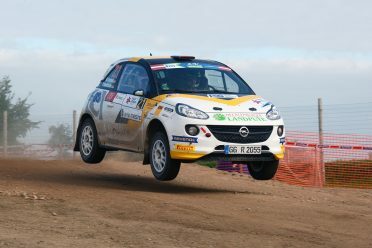 In 2013, he took top spot in the junior category in the ADAC Opel Rally Cup, the most competitive one-make rally series in Europe. Griebel was then signed to the ADAC Opel Rally Junior Team. Now, as a member of the Opel works team, he would become part of the impressive success story that is the ADAM R2. 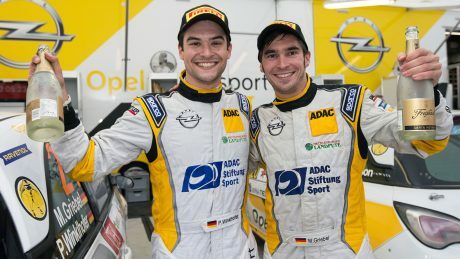 In his first year as an Opel works driver, Griebel enjoyed unrivalled success in the German Rally Championship on his way to winning the title in his division. Even when Chris Ingram was forced to retire from the race in special stage 11 due to a problem with his alternator, Griebel and co-pilot Pirmin Winklhofer (21, Pocking) were still feeling the pressure. There was only a sliver of a gap separating the teams and one thing remained the same: If Griebel failed to win the race, the title of European champion would have gone to Ingram. Victory: Marijan Griebel and Pirmin Winklhofer standing on top of their ADAM R2. And we know someone else just like him.